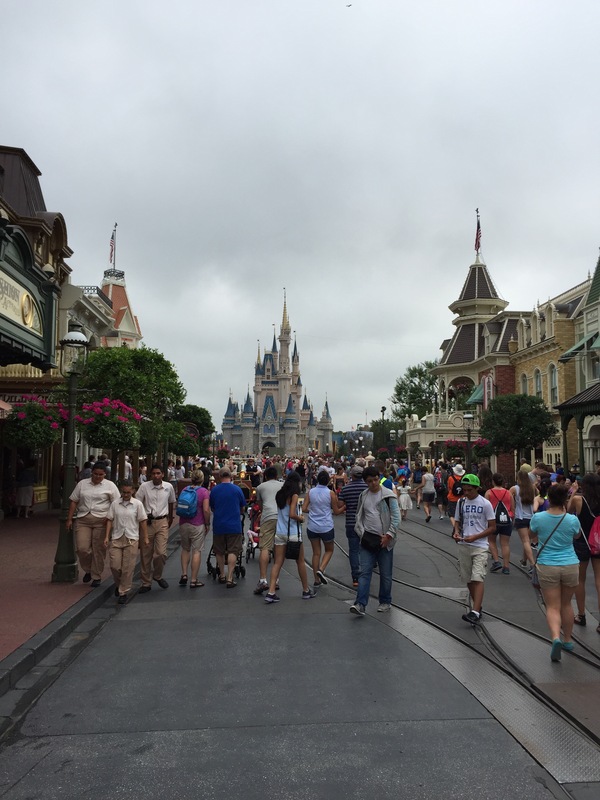 There was so much to experience on our vacay that I had to come back and write some more! … that and my kid is next door at a bday party, so rather than socialize with the family, I will sit in my corner and rock – aka write. 7. 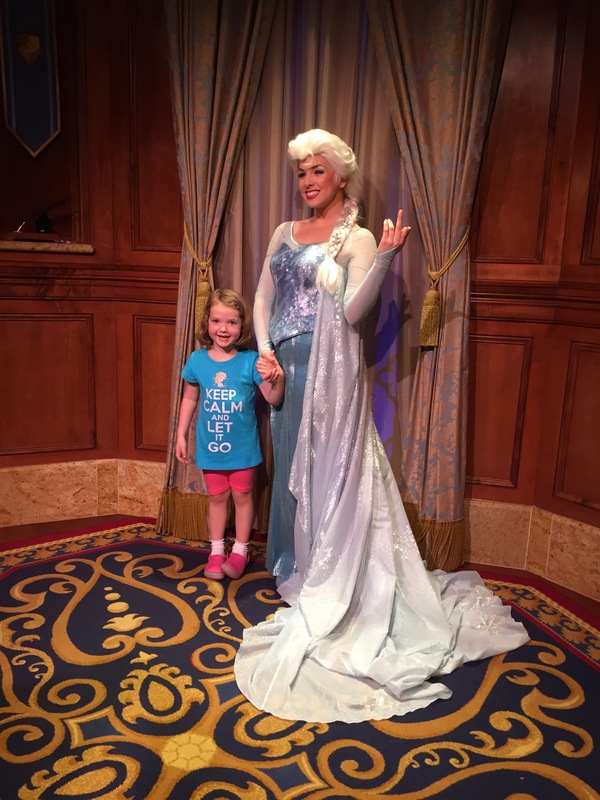 Watching my daughter meet Elsa, chat with Elsa, laugh, hug, “pic” with Elsa, and then blow right past Anna. I saw Anna expectantly walk up to my kid just to then stick her lip out and tell me her feelings were hurt. That whole world is beyond transcendence. The fact they were able to bring it to life and let us walk through the streets of Hogsmeade, and actually climb the (very dark) stairs of Hogwarts ??!! Are you kidding me?! Amaze-balls! My small critique on the experience is this; Universal Studios Orlando was very tricky in their planning of these parks. Hogsmeade/Hogwarts are in the original Universal Studios park. 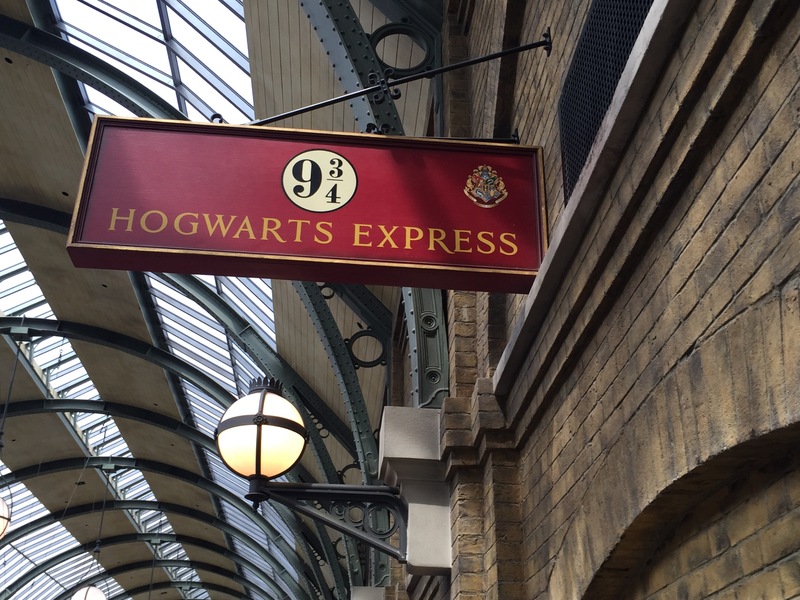 You have to have a park-hopper ticket to ride the Hogwarts Express to visit Diagon Alley over in Islands of Adventure. I have no idea how much they plan to add, but other than the awe you feel as you walk up to both parks. The flabergastedness of seeing Hedwig in her cage sitting on Harry’s luggage trolley. 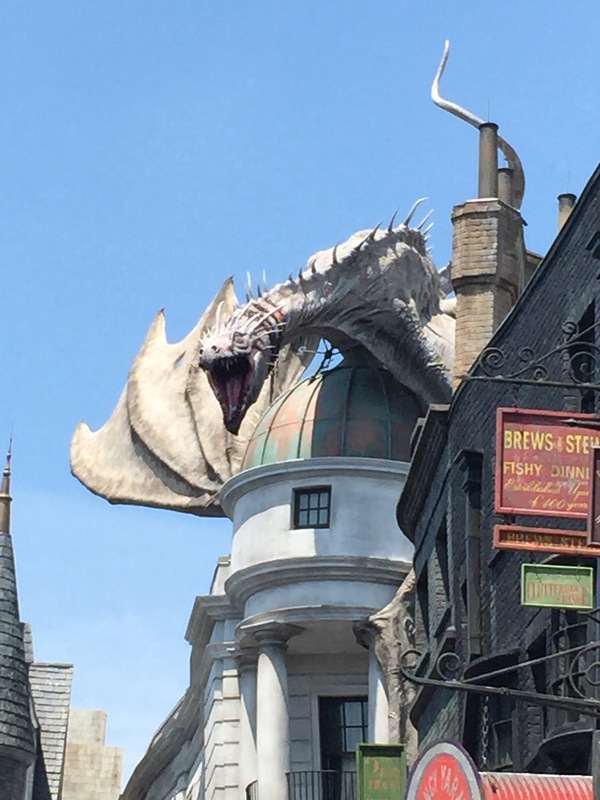 The platform you actually get to pass through, the dragon above Gringott’s Bank, the shopping and the oooohing and aaaahhhing, there are only a couple of rides between the two parks. 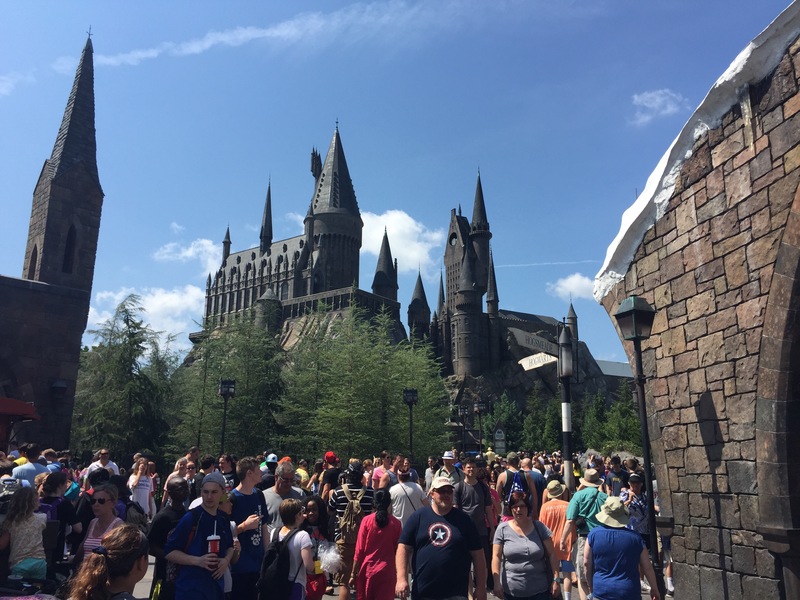 Harry Potter and the Forbidden Journey – no this is not a spin through his puberty changes. This is the ride inside Hogwarts. This ride is a-not chub-friendly. As a rather tall and not slim person, I almost didn’t fit on this ride. Use the test seats to save yourself public humiliation. This is not Disney, and they do discriminate. This ride is NOT for the faint of heart, either. My mom got sick on this ride as you are locked in with feet dangling and a shoulder/chest harness holds you down as the cart takes you forward/backward/backward/around/backward/forward to in-your-face 3-D animation and flying. I liked it, but I was the only one who did. Gringott’s Bank was the other ride. It was awesome. My 4 year old rode twice and I could have gone on at least two more times. Again, though, use the test seats. Us Big’uns are not their target audience somehow …. i mean, has Universal NOT ever seen a con before? Superfans are def not the most tiny frame-minded gym rats on the planet… just sayin’. Accio Cheeseburger and butterbeer, please. Dragon Challenge was also a rollercoaster. I did not try to get onto this ride. No one else could go with me, and frankly, I had read reviews that these trains were hard to fit in if you were even a little bigger than the average bear. Flight of the Hyppogriff was a kiddie coaster, and my daughter did love it. Not exactly a thrill ride, however. And there ya have it. Everything else is experience-based walk through reproductions, shops, or food related. Totally worth the trip, though! I did a double take on the Elsa photo as I did think she was flipping the bird at first!! Poor Anna, Hogwarts sounded fabulous….butterbeer…mmmm…..me jelly…..